Talisker Storm- ” you say you want a rev-o-lution ” To invoke the Beatles here seems very appropriate. This revolutionary Malt roared out of the blue with an intense flavor and a cutting edge concept . 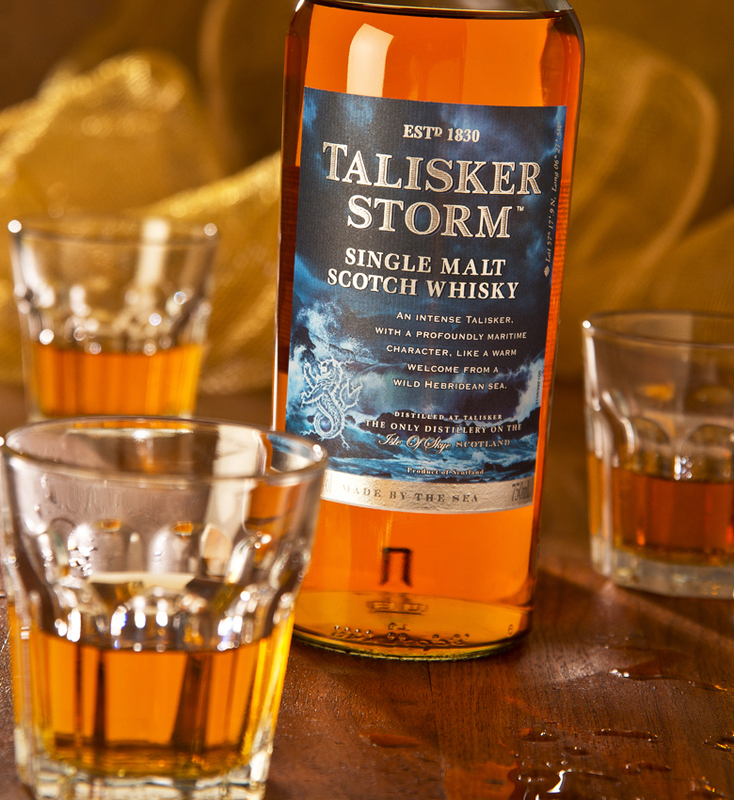 We are all used to seeing the number of years our Scotch has been barrel aging but Talisker tossed that idea out during the maelstrom….the resulting 90 proof powerhouse is positive evidence that this can be a wildly successful formula. Even the contemporary label design and packaging invoke the raging sea around the Isle of Skye where this rugged individualist is created. I found a large doses of warming sweetness initially and then the flavor opens up with fury and power as the peppery finish lingers on and on. I taste the usual caramel and spices here but there is an edgy distinctive explosion that can only be attributed to the seaside location. I believe this malt is being marketed to new and younger scotch fans and it seems as though the target has been hit dead center. So here’s a note from John and Paul to all you traditionalists, ” don’t you know it’s gonna be…all right…all right ” I rate this raging newcomer a 7.5 and urge you to seek shelter, and take a second glass with you.